simple computer like the SRC are carried out in a smooth and consistent fashion. signals that are required for the fetch operation. sequence. If a particular control signal is not shown, its value is zero. written onto the internal processor bus. operand. This control signal allows the constant 4 to be added to it. whatever value is on the bus, can be written into the MBR. MARout: This signal enables the tri-state buffers at the output of MAR. internal processor bus. Thus the PC will receive an incremented value. MBRout: To enable the tri-state buffers with the MBR. 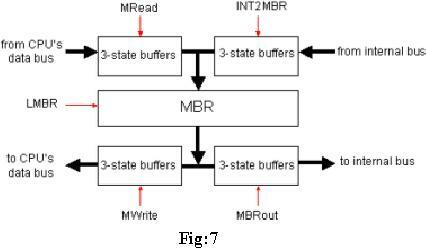 in the MBR is read into the Instruction Register (IR). coordinated working of instruction fetch cycle. will help us understand this external interface. 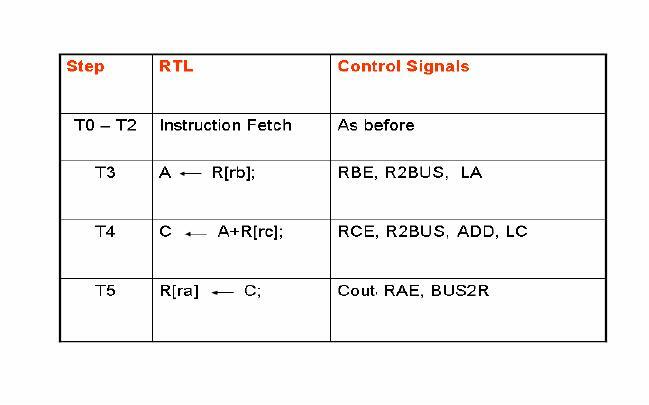 and control signals for enabling memory read and write. decimal number system, unless noted otherwise. 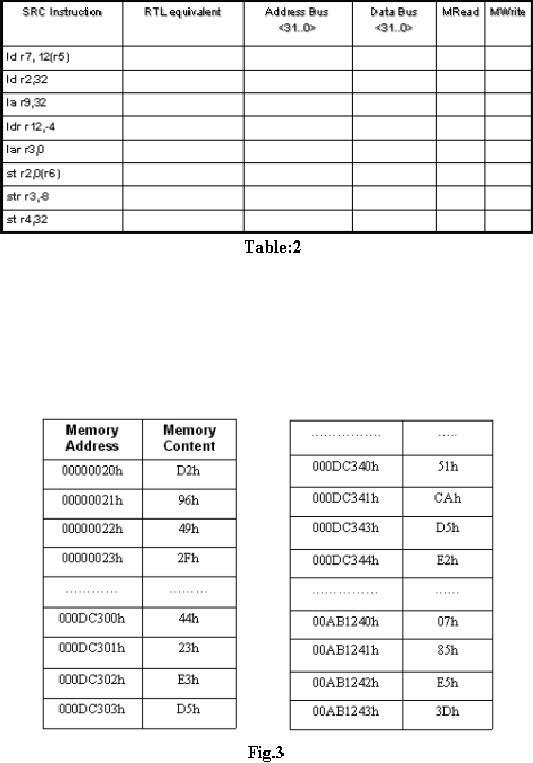 (b) Specify memory addressing modes for each of the SRC instructions given in Table: 2. · All memory content is aligned properly. In other words, all the memory accesses start at addresses divisible by 4. (Note that the SRC uses the big-endian storage format). corresponding instruction is decoded. The whole circuitry is shown in Fig.6. points of the MBR, as illustrated in the Fig.7. The register file containing the General Purpose Registers is programmer visible. accessed. 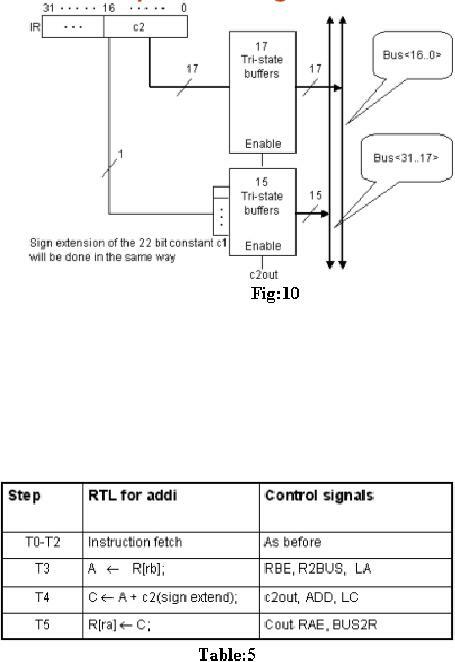 The BUS2R control signal is activated if it is desired to write into the register. and that there may be other possibilities. 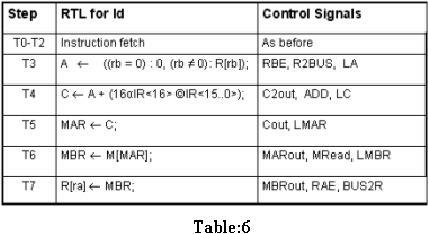 enables the decoded register, if the control signal (RAE, RBE or RCE) is active. is stored in the register C). Similarly in T5, signals Cout, RAE and BUS2R are activated. values, we need to copy the most significant bit to all the additional bits in the register. 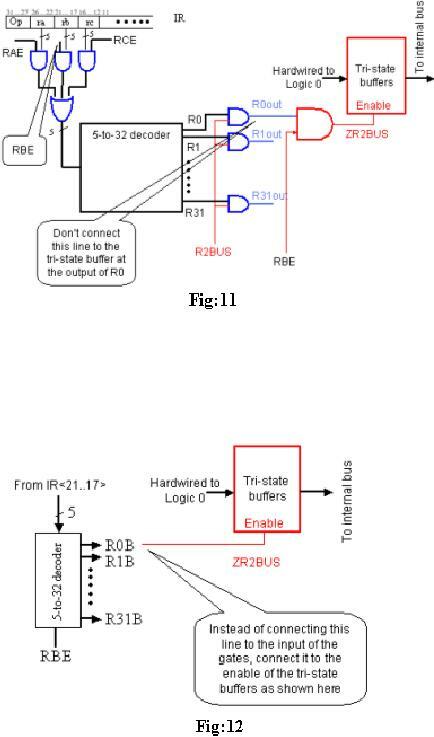 to all the inputs of this tri-state buffer as illustrated in the Fig.10. enabling write for this register. place a zero on the bus. The given circuit in Fig.11 can be used to do this. internal bus. 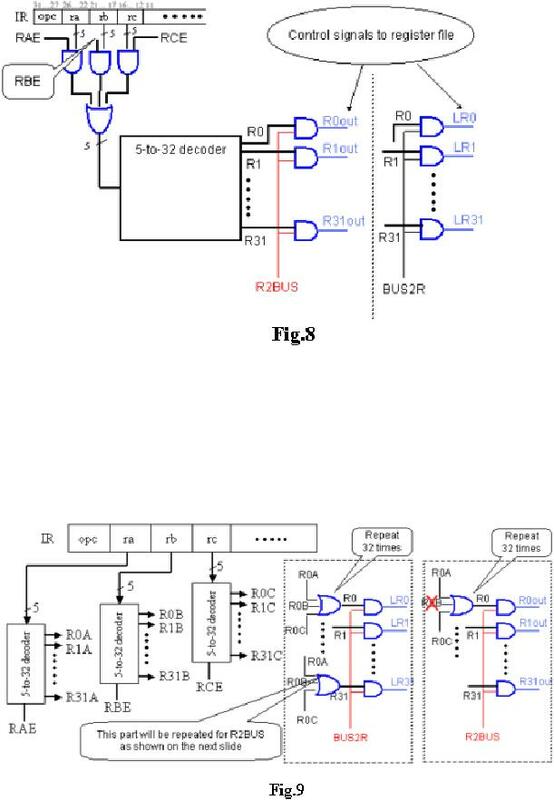 An alternate circuitry for achieving the same is shown in the Fig.12. ADD to instruct the ALSU to perform the add function. 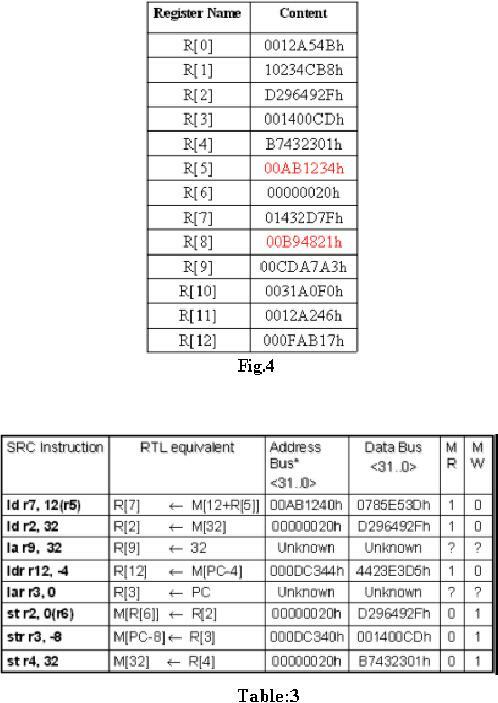 Cout is to read the register C, this copies the value in C to the internal CPU bus. accessed to read (load) the memory word. 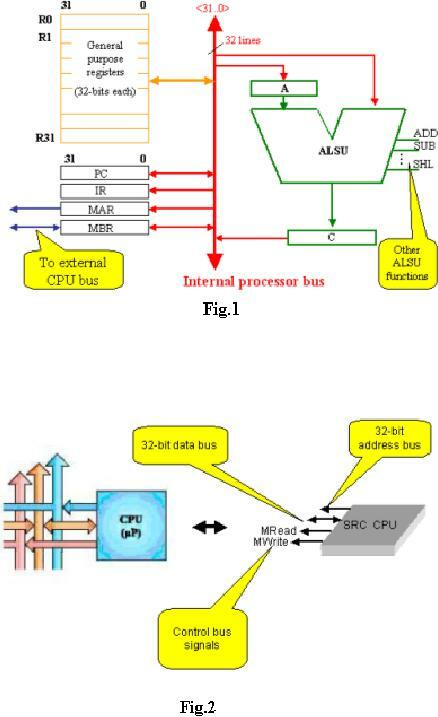 the specified location onto the CPU external data bus. will obtain its value from the CPU external data bus.